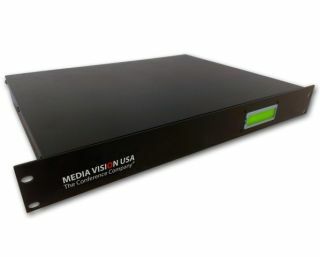 Media Vision USA's is offering Attend, a technology solution for multilingual remote participation. Attend allows remote attendees to dial in to a meeting and both listen and speak in their preferred language making use of the same interpreters that are serving the meeting venue. The Attend technology, designed and manufactured in California, is a designed to be a useful addition to any microphone system installation in an organization holding multilingual meetings — most likely international organizations, courtrooms, universities or large corporation. This long-awaited solution will be a source of travel costs savings, the company says, and will enhance the quality of meetings, as Fardad explained: “Attend encourages the inclusion of more meeting participants and thus more expertise than would otherwise be possible”. The solution consists in a self-contained hardware unit acting as the interface between the in-room audio system and the teleconference cloud service. The Attend Multilingual Remote Audio Interface offers line-level inputs and outputs to connect directly to the floor and up to 15 language channels as supported by the interpreters at the meeting venue. The web-based interface to the audio teleconferencing service allows authorized users to create, schedule and manage meetings and decide on a wide range of meeting parameters such as security and login, dial-in or dial-out and VoIP parameters. Once the meeting is in progress, the authorized moderator can use the online dashboard to monitor who is present, what languages are being used, and dial-out to new participants as needed.